We began our business operations in March 1990 with the principal activities of receiving, processing and packing of edible oils and edible oil products, as well as warehousing and loading them to containers and lorries. We are the contract manufacturer for an array of brands available worldwide. We offer a wide range of packing sizes, reinforced with quality products and efficiency of delivery, thus positioning ourselves as a niche exporter in international markets. We offer a wide range of products with blending and packing of vegetable-based edible oils as our main activities. 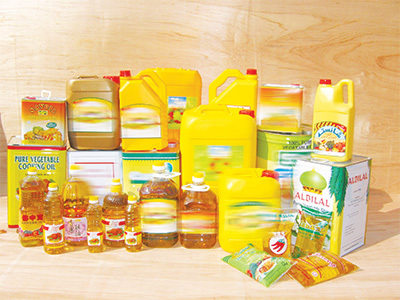 We also undertake contract blending and packing of vegetable-based edible oils for other edible oil producers. We have also successfully expanded our range of product offerings from palm oil and its derivatives to a variety of other vegetable-based edible oils (also known as soft oils) such as RBD soybean oil, RBD canola oil, RBD sunflower oil and RBD corn oil, with our products being exported, either directly or via our customers, to various parts of the world including the Asia (including Australasia), Africa and Middle East regions. We buy palm and soft oil products from local refinery companies and palm oil industry players where some of the shipments are added with antioxidant, vitamin A or food additives. These edible oils are used for cooking in both household and food industry, and/or further processed into vegetable ghee, margarine, shortening and confectionery fats.